Unfortunately I must ask for a refund. 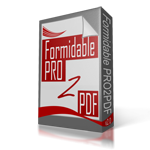 The plugin is not working for us, so we are going to try e2pdf your upgraded version. We still figure out how to get this single form into our signing software’s document portal (WP E-Signature by ApproveMe), so we are getting more and more frazzled at this problem. [Order #20275].